An African jewel unearthed in 1996 and blown away with a political wind in 1999. This is an unfortunate truth about so many lodges and game reserves in Zimbabwe. There seem to be few success stories coming out of Zimbabwe at the moment but the hidden truth is that this is a country that not only is full of unparalleled potential, but, the tourism melting pot is beginning to steam once again. Chilo Gorge Safari Lodge is a story of success, hold on to your seats for an unforgettable ride. The lodge opened on 1 August 2012. Chilo Gorge Safari Lodge looks south over the Save River, nestled on a ridge providing incredible panoramic views of the 5 000 square kilometres which is Gonarezhou, Zimbabwe's second largest National Park, proclaimed in 1975. Greatly varied habitat provides for a broad variety of wildlife, from the alluvial forests at the convergence of the Save and Runde Rivers to the eroded sandstone escarpment that forms the majestic and famous Chilojo Cliffs. Chilo Gorge Safari Lodge is a CAMPFIRE project; this is an innovative approach to conservation at village level which seeks to empower local people to manage their natural resources in a sustainable way, and to use revenue derived from this to the benefit of the community. Catering for guests that want to be taken care of there are ten twin bedrooms all with elevated views of the Save River. Conscious of an incredible overlanding community and the Greater Limpopo Trans-frontier National Park opportunities Chilo Gorge Safari Lodge also provides for the self-catering orientated traveller, to this regard there is accommodation enough for sixteen people broken into four twin bedrooms and a family cottage, all with incredible views down the Save River looking out over Mozambique. So what does Chilo Safari Lodge have that other lodges don’t? Good questions with equally good answers. Birding in this region is considered a speciality with over 66% of Zimbabwe’s bird species recorded here, or looked at from another angle, 48% of Southern Africa’s birds can be found here. Just inside the park there is an Important Birding Area (IBA) classified under International Union of Conservation of Nature (IUC). Access to Gonarezhou is done by driving across the Save River, when the water levels are just too high guests are boated across to vehicles on stand-by in the park. Gonerezhou is one of the world’s truly pristine wilderness areas, there is a long list of exciting mammals to see within the park. 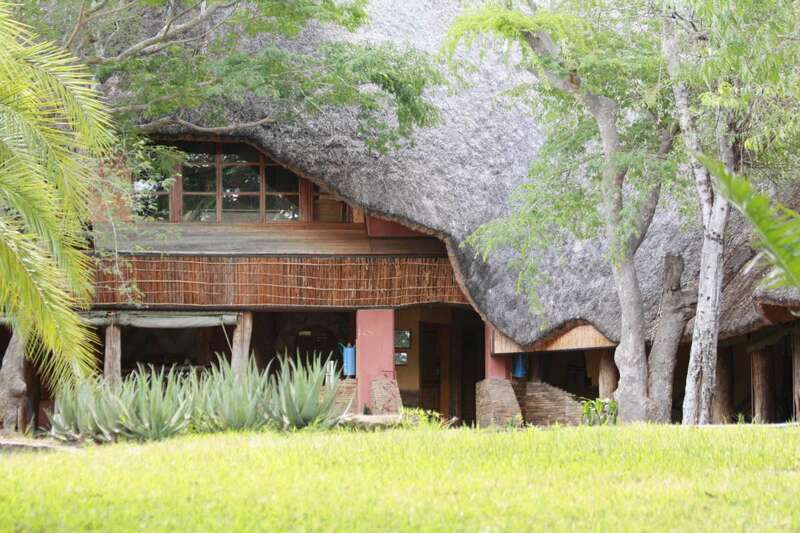 Chilo Gorge Safari Lodge is sited on Shangaan community land a short drive from the picturesque Mahenye Village. The Lodge is carefully designed to echo this opulent wilderness, stylishly decorated with locally made artefacts and photographs, each telling a story of the Shangaan communities whose ancestors once roamed this land. There is a huge emphasis on cultural activities to and within the Mahenye village. Visit the clinic and village school before walking in the historic Sand Forest (and birders paradise) to visit Southern Africa’s largest hard wood tree. Most of the local community belong to the Hlengwe clan of the Shangaan tribe, which settled in the area in the Nineteenth Century. The Shangaan are a breakaway tribe from the Zulu nation, originating in Mpumalanga (Eastern Transvaal, South Africa). The Shangaan brought with them a culture aware of the need for conservation of natural resources. Largely dependent on hunting, the elders knew they had to leave sufficient animals to ensure supplies for the future. Aided by a local conservationist rancher Clive Stockil, the Department of National Parks initiated discussions in 1982, hoping to achieve reconciliation with the Mahenye community. A ground breaking agreement was reached to use the potential benefits of wildlife for the development of the community, and thus give the community the incentive to tolerate animals on their land and in the National Park. In 1964, below the rapids of Chivilila Falls, a metal ring attached to the rock face a few metres above the water was found. Closer examination saw it to be a metal ring attached to a bolt that had been set deep and secure into the rock face..... The ring was about one inch thick, about 9 inches in diameter, and very encrusted with age and exposure. This was the first and last time the existence of this ring was to be recorded. And so, for one brief moment, a window opened on the Save River’s unwritten history, before closing once again and forever. What items would have been offloaded at Chilo - muskets, cloth, knives, beads and trinkets? What payload would have been taken on board - gold, ivory and human cargo? Chilo pride themselves on the calibre of their professional guides who are keen to deliver to a bespoke safari experience with overnight and multiday safaris and trips to suit individual tastes. John Laing as Operations Manager; who is happiest leading you on safari and introducing you to the abundant wildlife of the Lowveld, & also responsible for the day-to-day running of the Chilo Operation. Clive Stockil founder of the CAMPFIRE project, Director and part-time guide. Thomas, the Head Guide and Mahenye local for whom this wilderness represents his back garden! 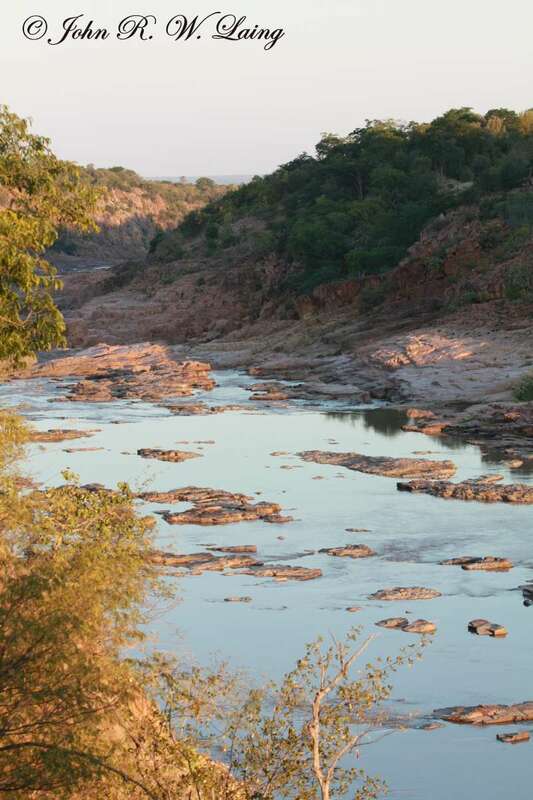 Cross the River Save by boat to experience the raw wilderness of the 5,000sqkm Gonarezhou National Park, the second largest in Zimbabwe and available for exploration from their riverside Lodge. Embark on safari in the comfort of their specialist safari vehicles, or for a closer observation of the finer details of the wild, on foot. Try the adventure of canoe safaris and sundowner river cruises. Your journey will take you to the Tambahata Pan (IBA), through Ilala Palm and Mopane forest bordered by the dramatic scenery afforded by the Save and Rundu Rivers. For a once in a lifetime trip, embark on a day trip to the world famous Chilojo Cliffs. The only vehicle you are likely to see on your safari will be the one in which you are seated, creating fresh tracks in search of the 10,000 long tusked elephants that inhabit this sacred National Park. Enjoy the cliff top serenity of moonlit dinners on Chilo's al fresco terrace.